One of the greatest contributions to improved treatment and rehabilitation is the understanding that traumatic brain injury, including “mild” TBI, is not a static “event” with an immediately apparent consequence, but rather it is the beginning of a disease process. The scientific community now generally recognizes, and reports in Center for Disease Control (CDC) publications, that brain trauma initiates a metabolic process that can have destructive consequences over time, not only within the brain itself but also with other bodily functions controlled by the brain. For example, in March 2009, the Brain Injury Association of America published a paper summarizing the research in this area titled “Conceptualizing Brain Injury as a Chronic Disease.” The paper covers research showing how the disease process, initiated by brain trauma, can lead to such things as circulatory problems, immune system compromises, epilepsy, vision problems, sleep problems, neuroendocrine disorders, psychiatric disease, sexual dysfunction, Alzheimer’s disease, musculoskeletal dysfunction, and chronic traumatic encephalopathy (CTE)—a condition caused by a history of multiple concussions, often found in athletes who participate in contact sports. As a side note, CTE cases throughout the National Football League have finally captured the attention of the public through frequent reporting by the major media outlets. We believe this is a good thing, as funding for more studies should follow. Getting the right treatment and rehabilitation following a brain injury, both acute treatment and long-term treatment for associated chronic disorders, is critical to the ultimate outcome. 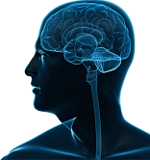 A good summary of the treatment continuum can be found on the web site of the Brain Injury Association of America. Information on options in Vermont can be obtained through the Brain Injury Association of Vermont and its Information and Referral Specialists. The Traumatic Brain Injury blog will continue to follow these developments and report on new treatment, rehabilitation and prevention, as well as evolving legal options for those who need to prove that they suffer brain injuries. Please feel free to contact us directly or drop a question in the comments below.